New Waterford manager Páraic Fanning says the side are still eager to play their home games within the county next summer. The issues over Waterford’s home venue for the Munster SHC has sparked much debate since the introduction of the new round-robin format last year. 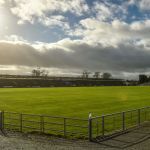 Walsh Park was deemed unsuitable for Munster Championship games, so the Déise had to play their ‘home’ games in 2018 against Tipperary and Cork at neutral venues. This was believed to be a contributing factor as to why the 2017 All-Ireland finalists finished bottom of the pile in the southern province last summer. Last week, the Munster CCC voted down the possibility of Waterford nominating Nowlan Park in Kilkenny as their home venue, while discussions are ongoing to see if Walsh Park can be a fit and Fraher Field is also a possibility. Manager Páraic Fanning is adamant that they should get home games within the county. “As far as we’re concerned, we’re still looking at playing the games at home,” said the new Déise boss at the launch of the Co-Op Superstores Munster Senior League. “That would be my view, and I think the view of all of us, that the games should be played in Waterford. The Déise will welcome Michael ‘Brick’ Walsh and Shane Bennett back into the fold for 2019, but will lose Tom Devine. Fanning is looking to oversee a Waterford bounce-back in 2019, but must begin his tenure without the Ballygunner contingent, who are preparing for the All-Ireland club semi-final against Ballyhale Shamrocks on February 9. The former Wexford selector says there are pros and cons to the city club’s success: “There are two sides to that – obviously early on in the league campaign next year we’ll be without the Ballygunner lads, and they’ll be a loss to us, there are some very good players involved with them. “But on the other hand, obviously it’s fantastic for Waterford – and for the club themselves – that they’re heading into an All-Ireland semi-final now. “We would of course be hugely supportive of them and of them doing well in the competition, and we’ve already told the Waterford panellists with Ballygunner that we don’t expect to see them until the All-Ireland club campaign is finished – and we’d be hoping that won’t be until it finishes on St Patrick’s Day. “That gives other lads a chance to step up to the plate, to try to grab a spot, and that’ll be true of the Munster league and the early part of the national league. Players should see it as an opportunity in that sense. Make sure to keep up with all the latest GAA news and analysis via skysports.com, the Sky Sports mobile app and @SkySportsGAA on Twitter. The Sky Sports mobile app will keep you up to date with the latest news from Gaelic games – here’s how to receive the alerts you want.